Glamping is a marvelous way to get out of the hustle and bustle of life and experience a little bit of luxury. All whilst pretending that you are an avid adventurer by leaving the comfort of your own couch and Netflix. If you’ve never heard of glamping before then please do let me enlighten you. Glamping in it’s rawest form is glamorous camping = Glamping. There’s no pooping in a hole, day old dodgy white bread, and supermarket sausages. 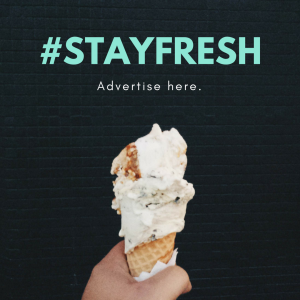 You won’t find any instant coffee. Instead, you’ll find yourself in the lap of luxury. Queen size beds, wifi, hot showers oh how the list goes on and on. It’s the perfect way to introduce a reluctant camper to the camping lifestyle. And also to ensure that they probably will never want to go and pitch a tent with you ever again. Let’s be honest – camping is not everyone’s cup of tea. So to help us discover some of the best glamping experiences around the world we asked a few friendly travel bloggers to share their favorite glamping places. Imagine waking up to the sounds of nature, sun rays peaking through the vines and freshly delivered coffee all in a secluded rural landscape. This is our story of glamping, disconnecting from the world and eating far too much good food. After a three hour journey in the car, desperate to escape the heat and pee, we quickly hot foot it out of the blistering Australian sun and around the corner to find ourselves a little slice of heaven amongst the grapevines of Cofield winery. 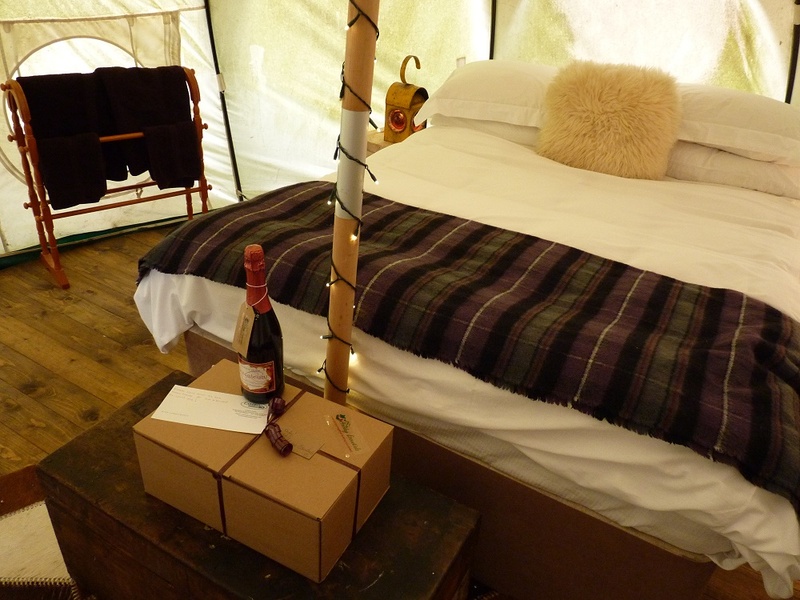 Really I could never have imagined the ultimate luxury that was awaiting us inside the small bell tent. Beyond the bunting and through the fairy lights. The tent is spacious, light and comes equip with literally everything I could ever need. The bed was a queen size spacious bed that James and I thoroughly enjoyed. The pillows were a plus! So often we get to places and end up regretting not taking our own pillows. Clouds Safari is in a terrific spot perched on the side of a hill overlooking Springbrook and Lamington National Parks in Queensland. It’s the perfect retreat after a full days hiking, or swimming in the nearby waterfalls. The interior is heavenly too; think four poster bed and a free standing bath. It’s fair to say I was sold on Clouds Safari from the moment I saw a picture of the bath tub! 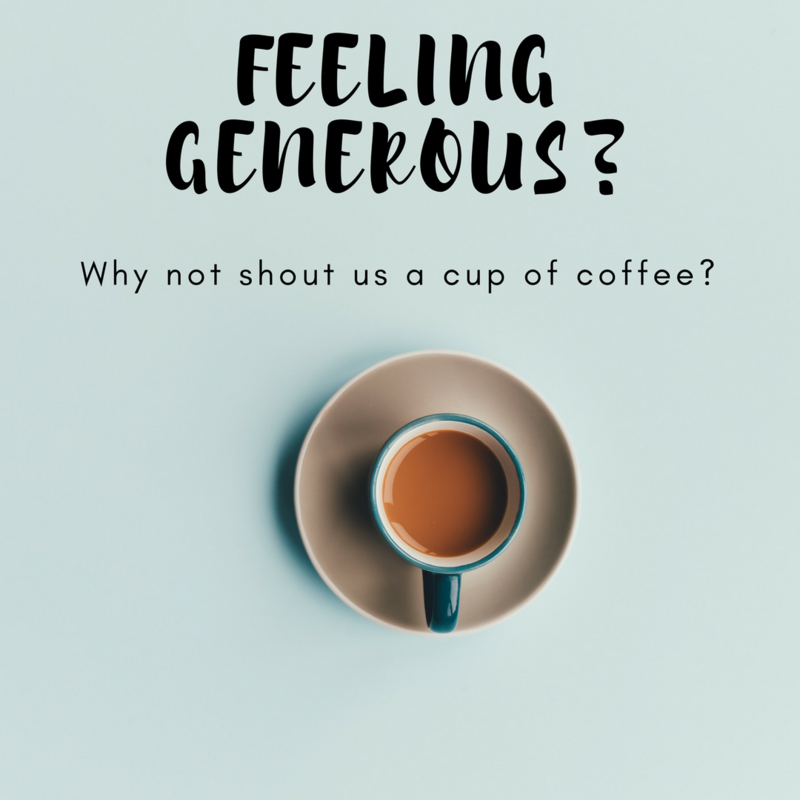 It’s definitely a place where all the little touches have been thought of: lots of mood lighting, candles and an all important coffee machine! Another lovely touch is that the owners leave you a homemade pasta dinner that you just need to reheat, as well as a bottle of wine and chocolate, so there really is no reason to leave the tent! There’s also a BBQ on the deck for those warm evenings, which – let’s face it – is most of them in Australia. The secluded setting and stunning views will leave you wishing you booked a couple more nights in paradise. We never set out to find a glamping experience. 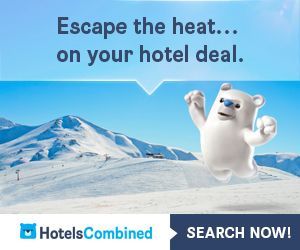 In fact, when scouring for accommodation in New Zealand, it didn’t even enter our minds. But when some last minute changes to our itinerary in peak summer season left us stuck, we found Owapa Retreat on Airbnb and it turned out to be the most amazing night of our three week road trip. Located 45 minutes from Lake Tepako and within the Mackenzie region Dark Sky Reserve, it felt like we were totally in the middle of nowhere when we pulled up to an amazing wooden house, built by one of our hosts Craig. He and his wife Lisa led us to our tent for the night and wow – it was incredibly quaint and cosy! Think squishy cushions, soft blankets and a cabinet full of books and board games to keep us entertained. We also had a camping kitchen and chemical toilet just outside and it was with an air of contentment that we snuggled down into our deck chairs to watch the sun set. It was when the sun went down that things got unexpectedly beautiful. While clouds covered overhead for a few hours around bedtime, we gave ourselves a 3am wake up call to poke our heads outside the tent. Above us was the most incredible mass of stars I’ve ever seen. Clusters so bright that I thought they could only exist in pictures scattered the sky and it was this moment that stays with me forever. Two years ago, we went glamping in Slovenia. The place where we stayed was Charming, a recently-opened glamping resort near a mountain village called Ljubno, close to the Austrian border. We didn’t know what to expect – it was our first glamping experience, but we had both been camping several times, so we expected something like a walk-in safari tent with a toilet cubicle nearby, or something similar. When we arrived, we were wow-ed! The tent was HUGE (larger than our flat in London!) with a ‘loft area’ and an ensuite toilet with private shower – you could open the shower roof, giving you the feeling of an ‘outdoor shower’ in total privacy. Out the back, there was even a private jacuzzi! 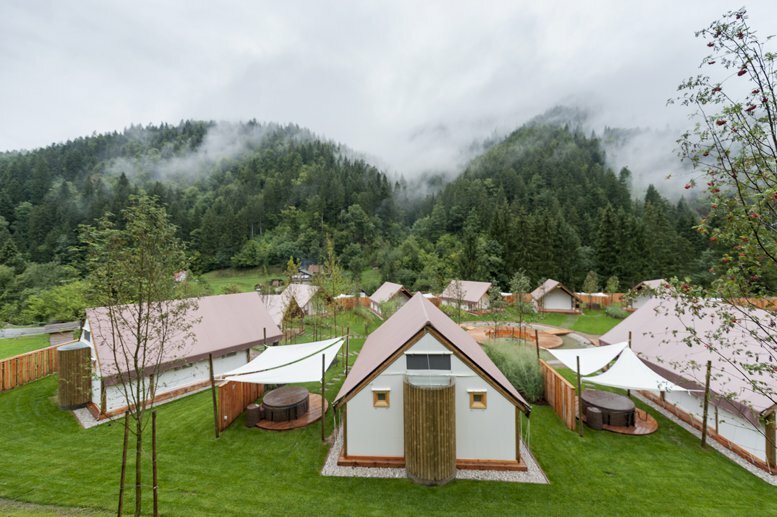 The Glamping resort was inspired by the herbal tradition of Slovenia – there were lots of herb-based dishes on the menu, herb products in the bathrooms and all ladies were given the opportunities to enjoy a herbal massage. It rained the full three days we were there, but we loved our time! We recently spent one night in a Galicia glamping site I had been wanting to stay for a long time: Cabanas do Barranco, in Serra de Outes. Really close to our base, I cannot believe it took us this long to uncover its gorgeousness! WiFi works like a charm and it will be all yours as every tree house has its own network. Happy now? Well, you should as commodities do not end there. TV with USB port to play your daily movie (sinner! ), aircon, coffee and tea making facilities (on top of a fully equipped kitchen area!) and bluetooth music thread are some of the little things that will make you feel as if you were at your favorite coliving spot. Carefully brought to life by Addomo architecture studio, the design took into account the intimacy of each building and the views of the nearby mountains of the Barbanza peninsula, Tremuzo, A Pena and Muros and Noia estuary. Every construction respected the existent forest trees and their roots, with come even more alive as the building shapes, lights and shades are defined by them. In short, Cabanas do Barranco are an excellent glamping option for a unique getaway place that will stay in your memory forever. Camping in Torres del Paine is one of the highlights of Patagonia. The W Circuit is a famous trek, almost a rite of passage within the trekking community. However, if like us you’re not too keen on roughing it in a tent, but still want to see the stunning landscape of this famous National Park, there is a more upscale alternative. We went glamping in Torres del Paine with the Chile Patagonia Camp, staying in luxurious yurts. It was a very unique and memorable way to experience Torres del Paine. 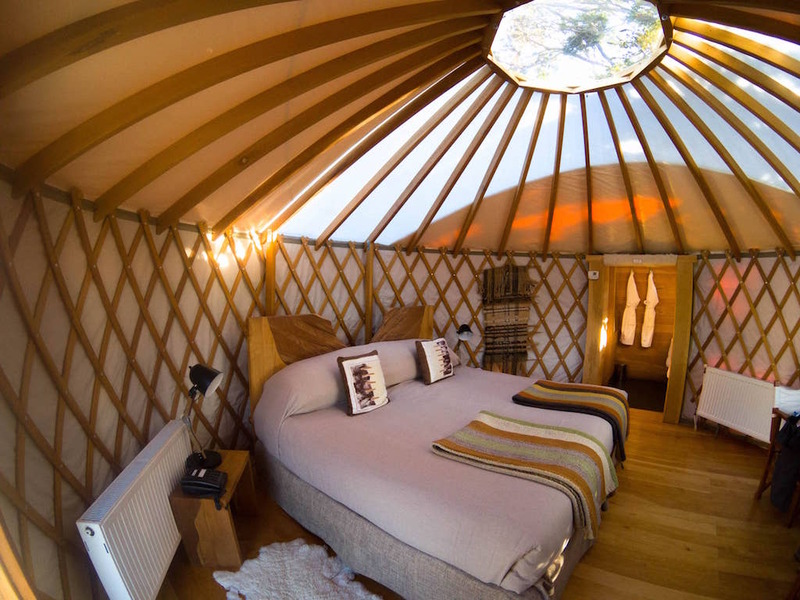 The yurts are are absolutely lush, each with private bathroom, comfy king sized beds and even central heating. All our meals were included, along with guides, who would take us into the park and back on daily trips. The Chile Patagonia Camp is located near the entrance of the Torres del Paine National Park by the shores of Lake Toro, so you wake up to pretty spectacular landscapes each day. Definitely an experience we recommend for the more discerning travellers who want to experience trekking in Torres del Paine, but aren’t particularly keen on staying in tents! ‘First-class Backpackers Inn’ in Tottori Prefecture is bringing the luxury camping trend to Western Japan. Set on Mt. Daisen within the picturesque Daisen-Oki National Park, ‘FBI’ is the perfect place to unwind and get in touch with the great outdoors. Think expansive grounds with tents placed strategically for privacy and comfort, a trampoline set into the ground and a rather Instagramable swing in the forest! The tents feature large double beds, a sofa and “chill out” area with beanbags, and are fully equipped with electricity and power outlets to charge your electronics, as well as heating to ward off the overnight chill. Many visitors to Japan adore Japanese washlet toilets and at FBI you don’t have to go without them – each toilet is located in its own private tipi with full Japanese amenities! While each shower comes with its own powder room where you can complete your bathroom routine in privacy and luxury. The onsite restaurant is super hip and inviting, and features a number of upmarket burgers. What you absolutely shouldn’t miss out on here are the beverages – the drinks list goes on for pages on end with delectable cocktails, high-end spirits, as well as non-alcoholic options, including cosy, hot brews that make for the perfect end to a wonderful evening. Camping in Kenya’s Maasai Mara is a magical experience on its own… But never did I expect to experience such sheer luxury from a place so far from modern civilisation. Losokwan Luxury Tented Camp is one of those places that will forever be ingrained in my mind; the huge tents with queen size beds, the fully equipped ensuites with functioning hot water, the experienced chef that cooked incredible 3-course meals… And of course, the unbelievable private view of wildlife beyond belief. 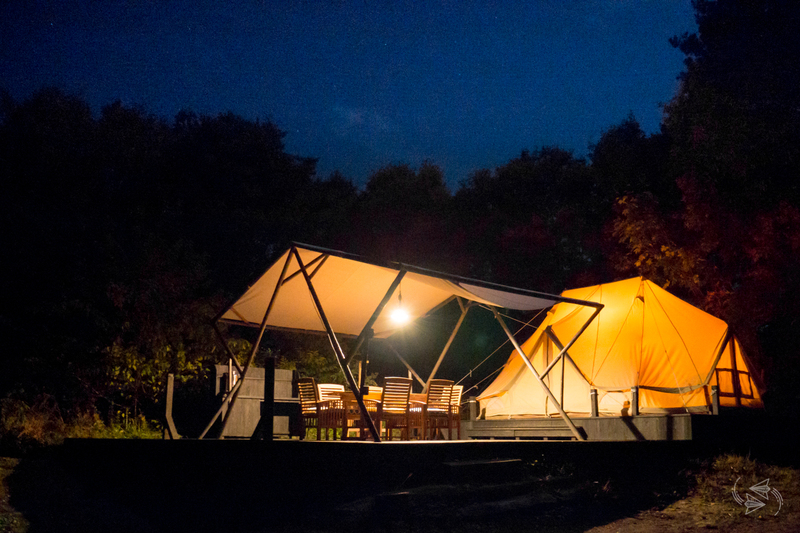 This small, eco-friendly camp is one that lets wildlife roam undisturbed. So as giraffe, lion and elephants casually roam past, the camp’s guests have the ability to relax in the shared dining room and enjoy a home grown, 3-course delicacy before a day of exploring the savanna! As the sun goes down, guests can enjoy a glass of wine or local beer before heading back to their private tent with a preheated bed and solar run lamps. The sound of wildlife strolling around the campsite is the perfect environment to drift off to sleep in peace. Who wouldn’t love that?! This place truly is glamping in the most luxurious of forms! We usually go for the most budget accommodation that’s why normal camping is #1 on our list but sometimes after weeks of camping and sleeping in a tent you feel like sleeping in bed will be a real treat. It was in Namibia when we reached Caprivi Strip, after weeks of road tripping. We found Caprivi Houseboat Safaris lodge in iOverlander app, it looked very nice and had good reviews but when we saw glamping accommodation option we got very excited. The place is located on the bank of Zambezi river in Namibian wetlands you can see hippos or crocodiles from the restaurant deck. The tents are fancy and spacious, the size of a small house or cabin, built on wooden decks with big zip open doors and windows. Inside it has a comfortable double bed (with soft mattress), small table, chairs, bed lamps, small tea/coffee set. It was our first glamping experience and we really enjoyed it; on the one hand you sleep in a tent but on the other hand you have all normal features of comfort. The tent has en-suite open-roof bathroom. It was amazing to shower under the dark Namibian sky with thousands of start and hear birds singing in the garden. 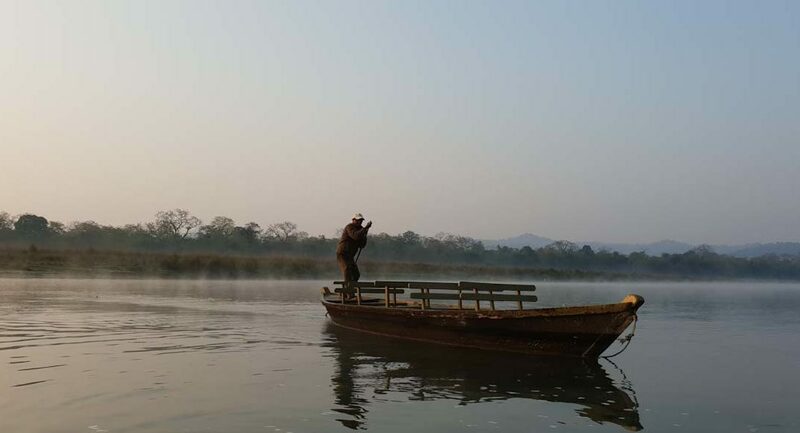 In the morning you get very nice breakfast and good coffee while watching hippos floating in the river. in the grounds of a country estate, the tents come with some extra luxurious touches to guarantee a comfortable and romantic stay. A king size bed with Egyptian cotton sheets and cosy throws ensure a good night’s sleep, while the coffee table and armchairs are great for lounging about during the day. evening and an electric cool box is ideal for keeping your wine chilled. 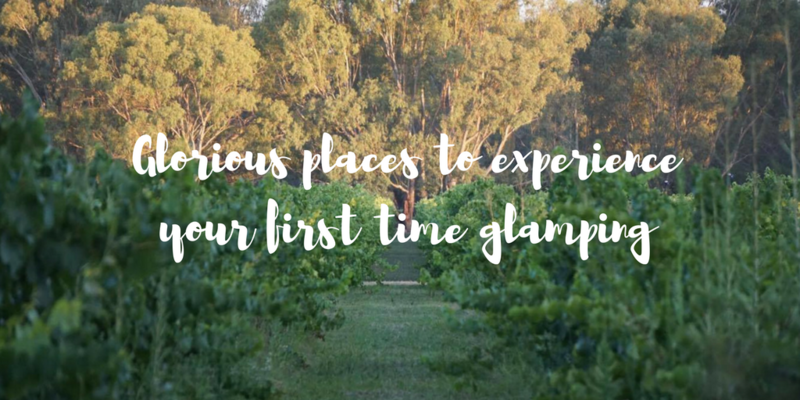 When I arrived, I was welcomed with a luxury hamper containing local wine, chocolates, candles and massage oil so I could enjoy a total glamping experience. Cooking can be done outside in the rustic woodland kitchen complete with a fire pit, bbq and gas hobs. If you prefer not to cook there are nearby restaurants and in the morning you can opt to have breakfast in the adjacent country house. With woodland and beach walks on the doorstep, this is the best tented glamping stay I’ve experienced in Scotland. 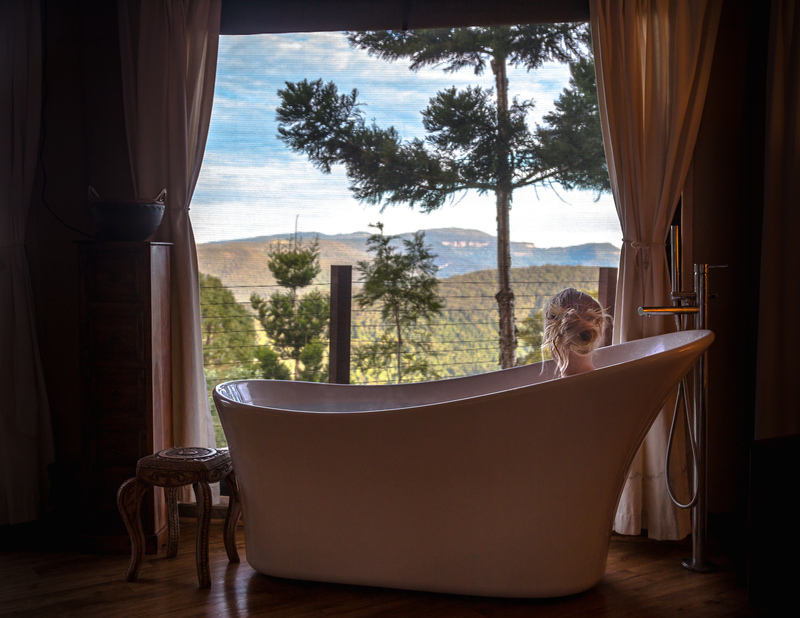 Glamping in Golden – it sure doesn’t get any more glamorous than that! 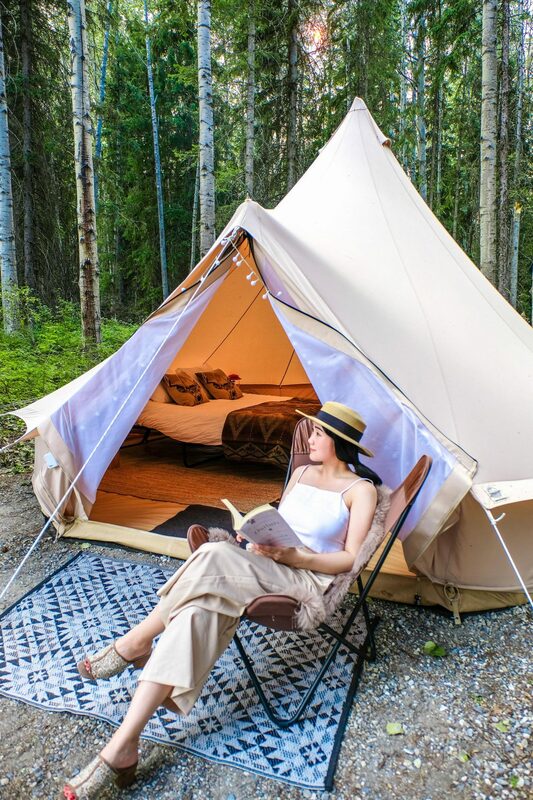 Located in Golden, British Columbia, Love and Lantern is possibly one of the cutest and most Instagram-friendly glamps offered via Glamping Hub. It is a lovely little tent that sleeps two and not only do you get quality bedding and pillows, there are washroom and shower facilities as well! A warm bed. A hot shower. It really is a luxurious camping adventure like none other. Super perfect for those who are maybe just warming up to the idea of sleeping in the middle of the woods. And even if you are an experienced camper, this is a great little treat to indulge yourself in as well. Highly recommended! Glamping in Mongolia? Is that even a thing? Mongolia land of blue skies, rugged horse riders and bandits who eat marmots and get the plague. Glamping here? You can enjoy a wonderful glamping and ecologically friendly experience in the Mongolia wilderness. In the uppermost parts of the Tuul River Valley, just a one day ride from the watershed of Asia, is Jalman Mountain and Jalman Meadows, a huge meadow along the Tuul River with a lot of wildflowers in the summer. It is located within the Khan Khentii Strictly Protected Area, which is Mongolia’s only true wilderness area, extending all the way up to the Russian-Siberian frontier. If you are a fan of glamping then Elephant Hills within the Koh Sok National Park in Thailand is a must. Set in beautiful, lush green grounds, there is nothing basic about this camping experience. If fact, when sitting at breakfast looking out over the landscape, from the striking mountains to the cooling swimming pool below, this could be classed as paradise. 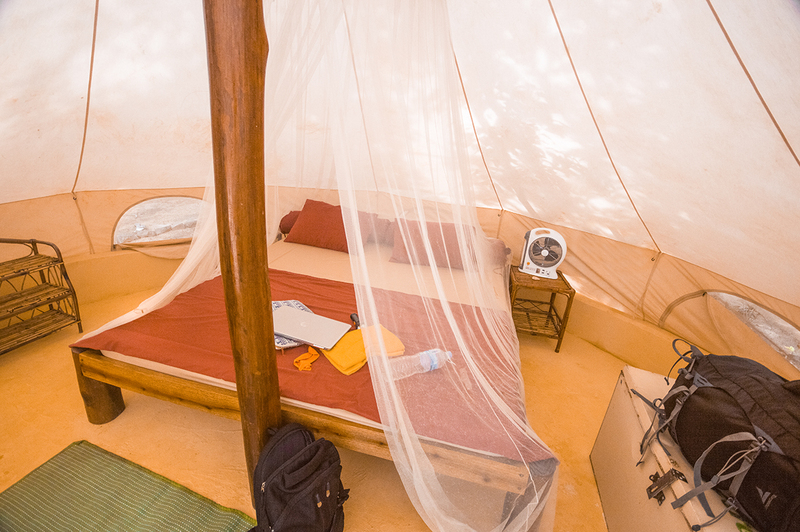 Some may question the luxurious nature of the accommodation – a tent after all is simply a tent right? – Wrong. Whilst you are sleeping under canvas, you have a rather large, extremely comfortable bed to sleep in, with handcrafted drawers for all of your belongings and a charming en-suite bathroom with hot and cold running water plus a selection of sweet smelling personalised Elephant Hills products to utilise. 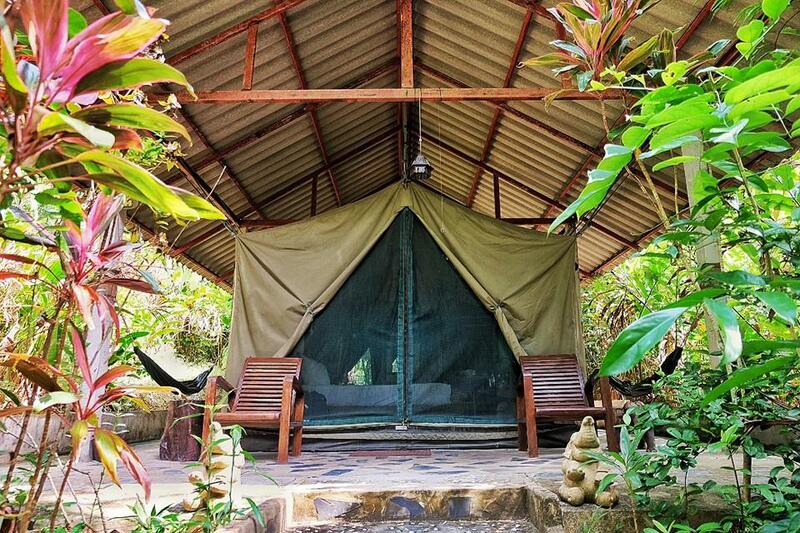 Outside, you benefit from your own balcony complete with hammocks and a rustic table and chairs where you could spend time relaxing, listening to the soothing sounds of the jungle animals that surround this hidden haven. This is an all-inclusive glamping experience which means that not only do they pick you up from your previous location, providing you with drinks and snacks for your journey, you are also offered a welcome drink on arrival, inclusive tours of the jungle, nightly entertainment and cooking lessons should you wish to participate. Plus, it should be noted, that the food we devoured was some of the best we experienced whilst in the country. 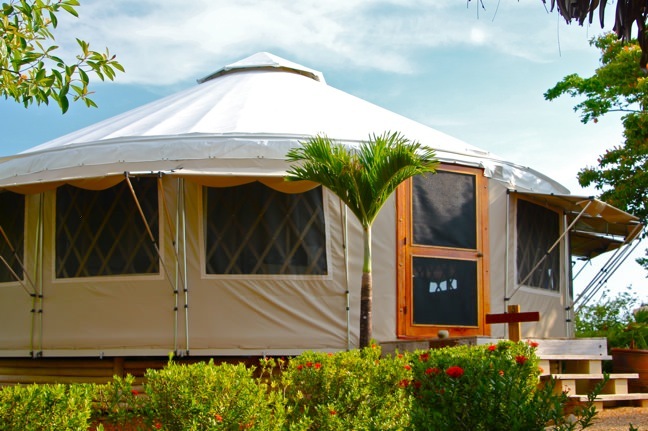 However, the icing on the cake for most that visit this glamping location is the fact that you get to spend time up close with camps friendliest mammals – their family of rescued elephants. Located on an isolated beach of Koh Rong Samloem in Cambodia is the ultimate island glamping experience at Sleeping Trees. There are multiple luxury tepees set up along the beach with views towards the ocean. With a concrete floor and mosquito net hanging over the bed you will have no problem keeping the sand and mosquitos out to enjoy your romantic stay. 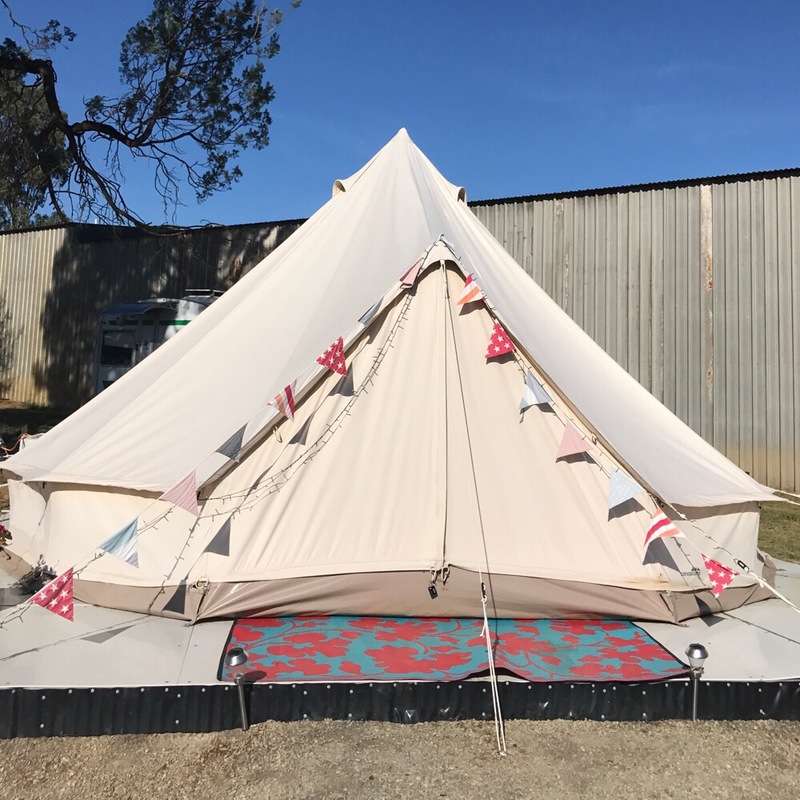 The full double bed is everything you need when glamping and with multiple restaurants dotting the beach you don’t have to worry about slaving over a gas cooker. On an isolated Island you may not have the everyday luxurious you are use to in life such an electricity, wifi or cellphone reception, but what you will have is an ocean at your doorstep, the jungle in your backyard and an abundance of wildlife. Once you have finished snorkelling with stingrays in the reef, catch a tan on one of the many hammocks which line the beach and watch the most beautiful sunset you will ever see. The glamping experience at Sleeping Trees in the perfect way to unwind to the chaotic city life in South East Asia without compromising on comfort. Glamping is it all that it’s hyped up to be? Yes, indeed it is. Personally, I love a sneaky glamping trip. I also adore the more adventuresome wild camping that James and I do. However, some days it is just nice to be able to turn up to a campsite that is fully set up and ready to roll. No digging holes, no worrying about where the sleeping bag has gone. Just a nice relaxing weekend away. Other than a bottle of wine what more could you ask for? 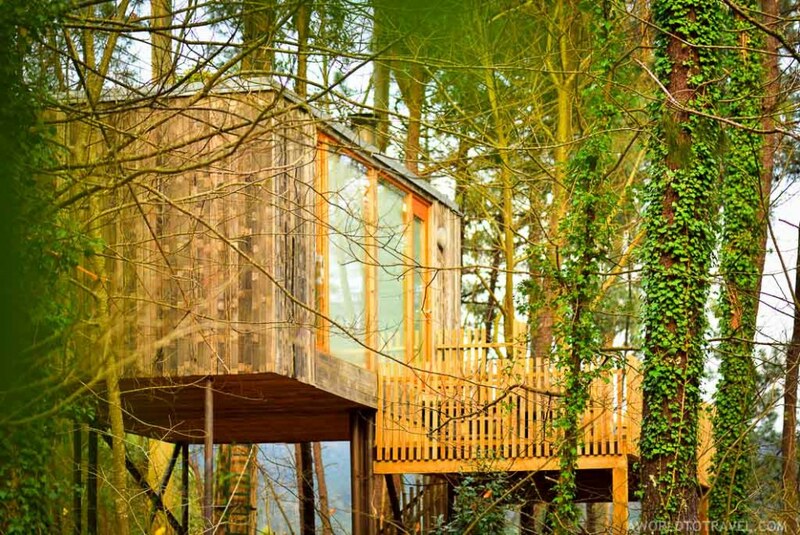 How to book the perfect glamping weekend away? 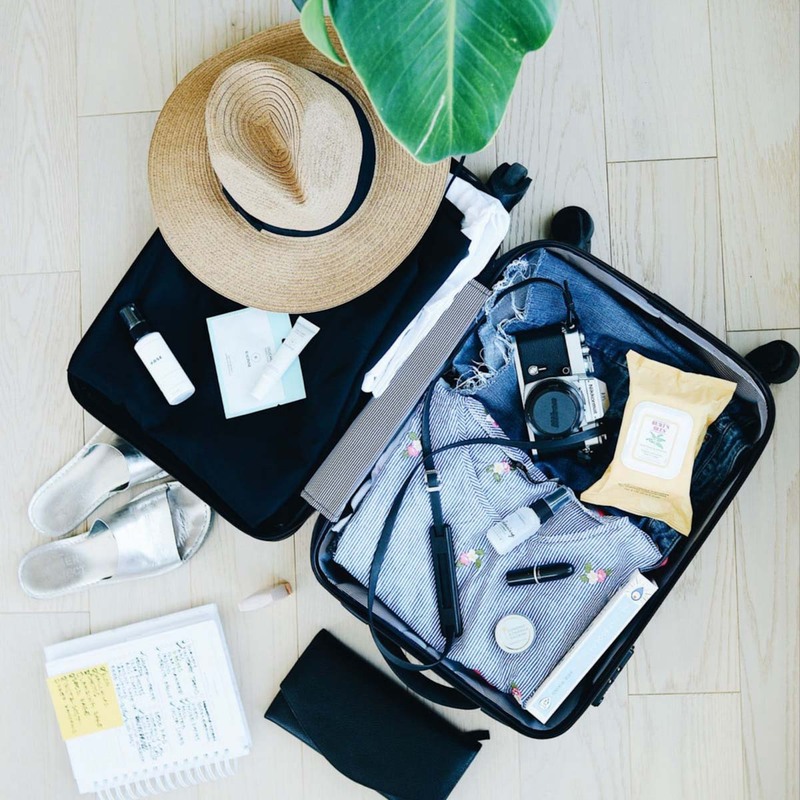 Depending on where you are in the world the two easiest ways to book a glamping experience is through GlampingHub or AirBnb. 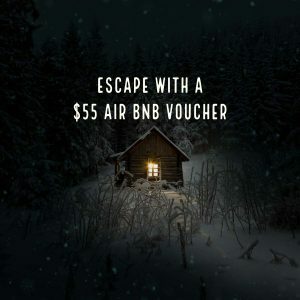 If you book your AirBnb today you can get a $50AU credit. 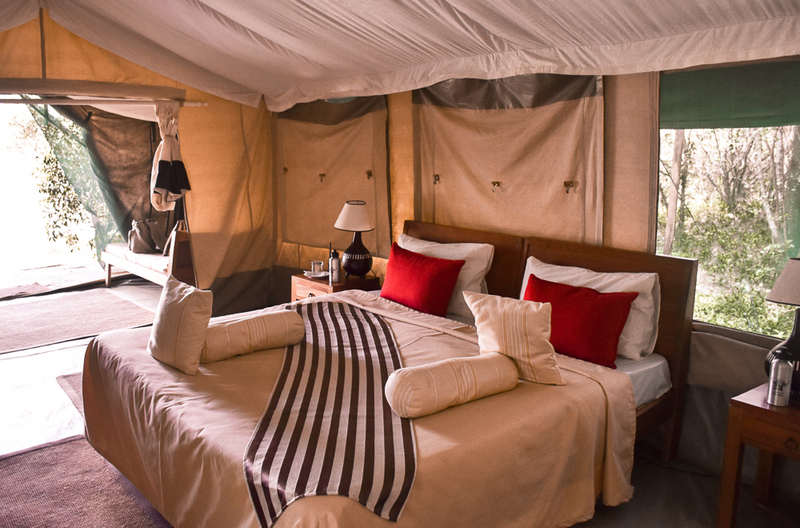 Have you had an amazing glamping experience? Let us know in the comments below. I learned about the concept some years ago – its a good alternative to people who are not too much into the classic tent thing. We have a lot of domos places here in Patagonia, also an alternative to the normal camping. These look AMAZING! Especially the Kenya one and I love the look of the Cambodia one too! (Koh Rong Samloem is actually on my list anyway!). I went “glamping” in a wooden hut in Scotland and absolutely loved it, although it wasn’t as glamorous as these! Fantastic list! I am sold by Cloud Safari and that bathtub!! I have never been glamping and this article makes me yearn to experience it. They are all such beautiful and amazing experiences. 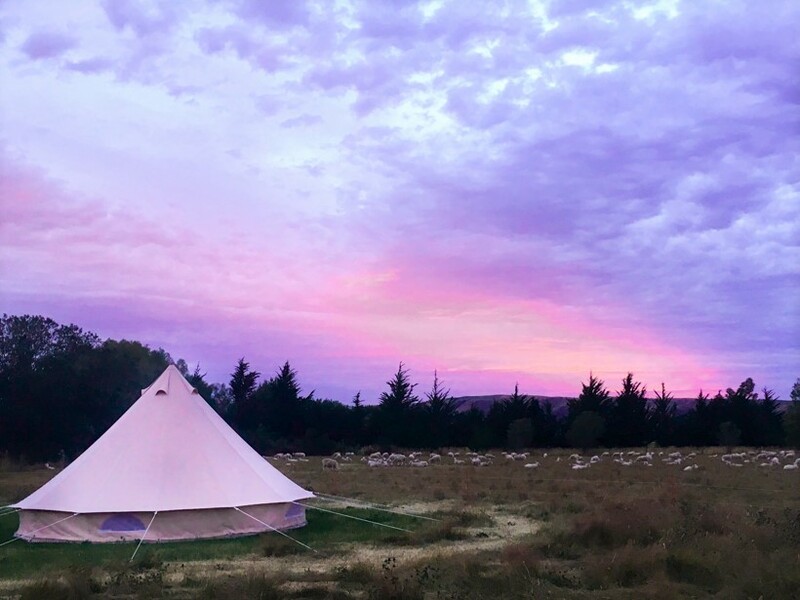 Very nice to share a round up of glamping experiences in Australia. Great article! I love to camp but never have glamped (is that a word, ha!). I know of several places in California where that can be done so, I need to give it a try. Would love to have the experience in Slovenia and Galicia. I love glamping! What a great collection of places. There’s nothing like waking up, walking out and being somewhere beautiful. So much inspiration for travel destinations. The first time I’d heard of glamping was on an episode of Pretty Little Liars. The show doesn’t do the experience justice ,though. Love each location; I gotta try out glammping now. The Cambodia spot looks beyond awesome. Heck; all of them do. Glamping is a nice change up because I have roughed it in the wilds a few times. For a week, maybe it is OK. Anything beyond and I slowly go mad. Glamping helps you enjoy pristine nature but with a twist of comfort too. Perfect mix. 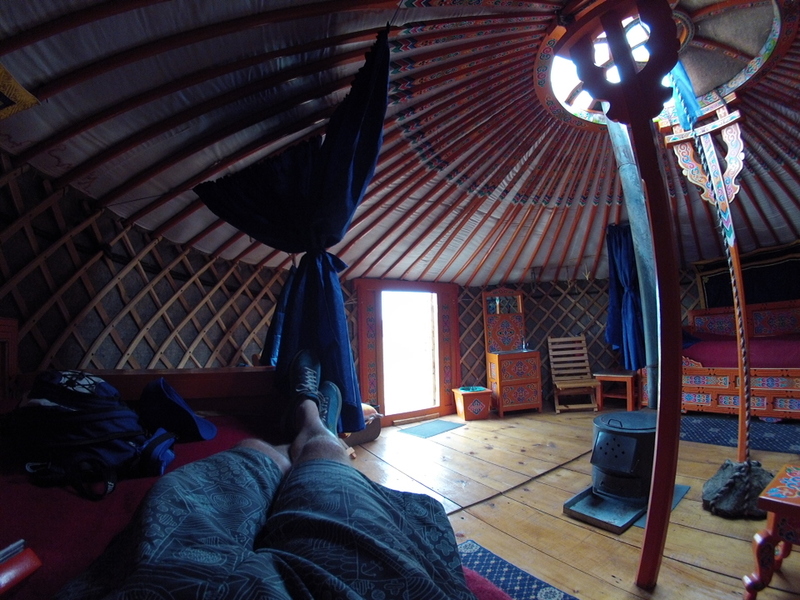 I think the tree house in Galicia and the Yurt in Torres del Paine are my favorites! 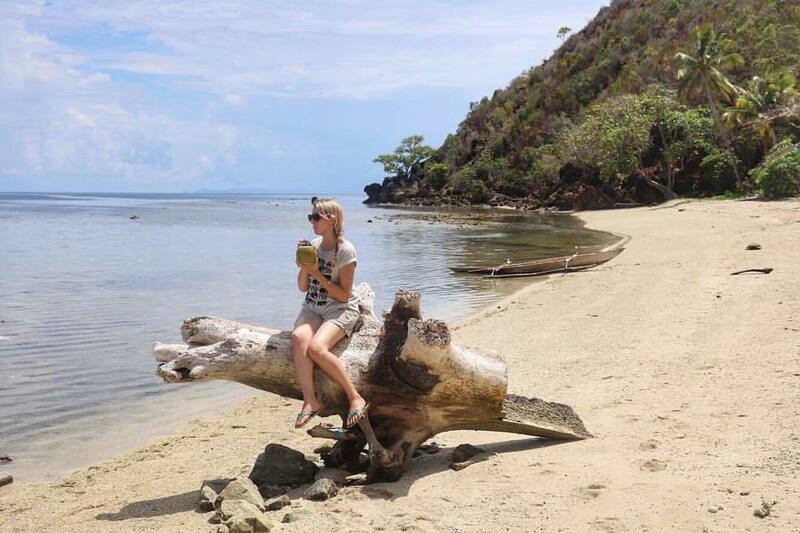 And I am maybe going to Koh Rong Samloem soon, so I will check out the Sleeing trees. 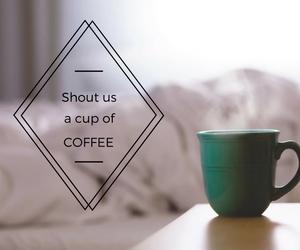 You’re so right…camping isn’t my cup of tea. BUT, I could totally do glamping. We’re headed to Australia next week, so we’ll have to check out your recommendations. Thanks! 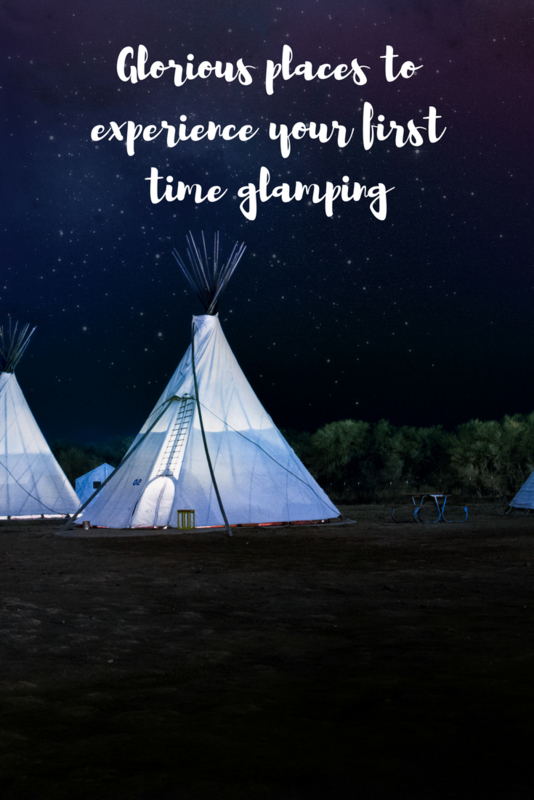 Thanks for sharing this useful guide about glamping! I’d definitely want to try the tree houses in Spain. 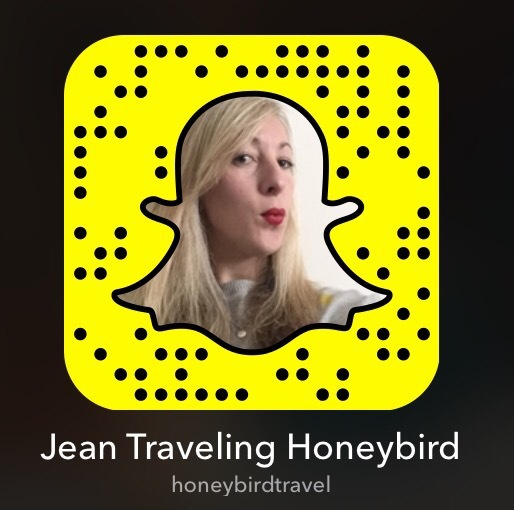 It sounds like a great getaway! I am dying to go Glamping! The more I see that’s out there, the more I want to try it. I am especially happy that Victoria in Oz has some awesome locations on offer so I think i’ll try these first. Some of these places are beyond cute! Great post! I love the way you define glamping. It truly made me giggle out loud. Lol! 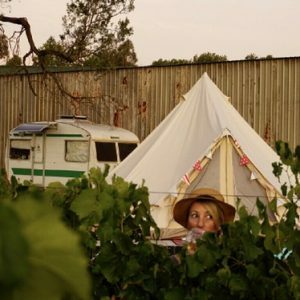 I’m definitely NOT down with traditional camping but I could probably go for glamping especially if it included wine! These are all adorable! Glamping is so much fun. It really is a whole lot of fun! I love glamping and this has given me some great ideas for future trips. Thanks for allowing me to include Scotland on the list!